I remember the moment when I saw Elaine’s terrific leather-ponte combo pants. My heart stopped a beat and I decided right there that I have to have something at least remotely similar. Well, deciding to want something is one thing, but it can be a long way to finally wear what you imagined. But I think I managed in the end. I didn’ t trust my drafting skills enough to do it the way Selfish Seamstress did, so I had to dig around until I could find a pattern that would allow me to make something similar. As I mentioned in an earlier post, in winter and early spring there was a long pause in my sewing and in pretty much everything due to some serious things going on in my life. I discovered the suitable pattern much later in BurdaStyle March 2012 issue and by that time had to make a special order from France to get the magazines I had missed and which, after a long time, contained some really interesting patterns. I think the people at Burda haven’ t really made the most of this pattern (model 126, March 2012 issue) for the magazine. The photo below is the reason I always open a fresh BurdaStyle in the middle where the line drawings are. The pattern is quite similar to the Helmut Lang pants that inspired the Selfish Seamstress. There are no side seams and each leg consists of three pieces (four, if you consider the divided front piece two). Since I probably wouldn’ t be able to pull off the leather pants look, I decided to make mine in doubleknit, with some fake leather details. The very first plan was to cut only the front leg details of fake leather, but in the end I also cut the side yokes of the same material and I think it was a good idea. I didn ‘t expect much of the pattern because several sewists haven’ t been exactly happy with the fit and I was sure I would have a problem as well. The pants turned out to be a little wide around the waist and hips (according to the Burda size chart, my hip measurement should be size 40 or even 42 and based on experience I always cut size 38, and these were still wide! ), but that was easy to fix. A much bigger problem was caused by the fact that I must have cut one of the three leg pieces slightly off grain. This resulted in the good old spiraling pants – the seams were twisting around my calf and it was especially obvious due to the design of the pattern. I knew what was the reason, but still, hoping that there might be an easy way out or that the twisting might be caused by a different mistake (which hopefully would again be easier to fix), sat down and ran a little search online. Well, it had to be the grainline issue, which most probably happened when I cut out the pieces from double-layered fabric and didn’ t notice that the lower layer was slightly off. It was rather difficult to determine, which of the three leg pieces was responsible for the twist and of course I couldn’t rule out the possibility of having more than one piece off the grain. Finally I tried my luck with the side piece. But as I had ran out of fabric, I had to go and buy some more of it, wash it, cut the relevant piece etc… a lot of trouble, but I didn’ t give up. I think I hit the spot of the problem, because after changing the side panel, the twist was gone! 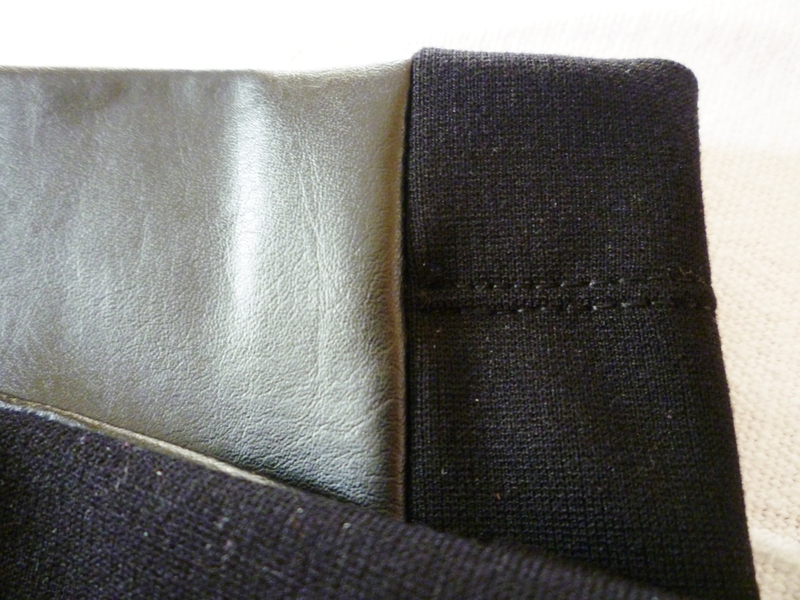 The fake leather I used is the same as for my obi-belt, it has a nice fabric backing and it is slightly elastic, which I figured would match the doubleknit well enough. As said, I cut the size 38, slightly adjusted the hip and waist width and omitted the back welt pockets altogether. I have never made them yet and I didn’ t want to put this project at more risk. The pants could have a better fit, but generally I am happy with the outcome, they are wearable and fun. Some could say that maybe they are a tad too short, but this is the way I liked them. 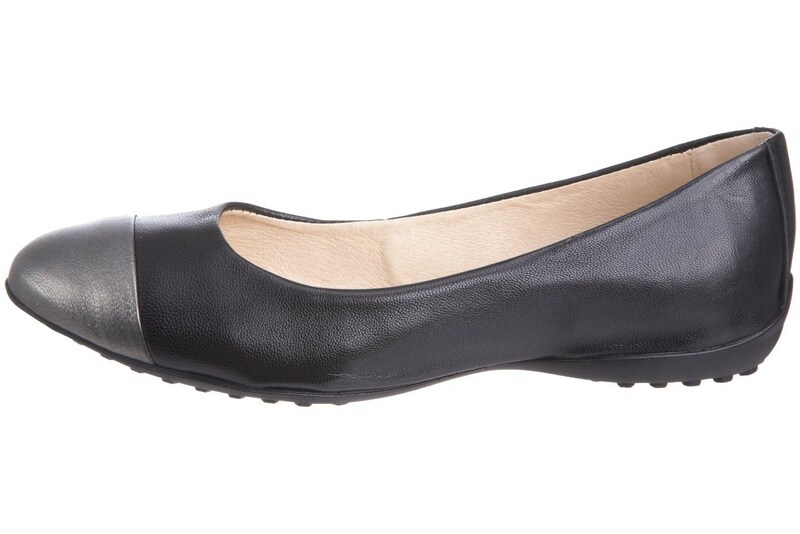 I tested them with several shoes and this length seemed to be the best in my eyes. I didn´t want to stitch through the leather while hemming the pants, so I only stitched the fabric part and used fabric glue on the leather which worked perfectly because it is fabric-backed.